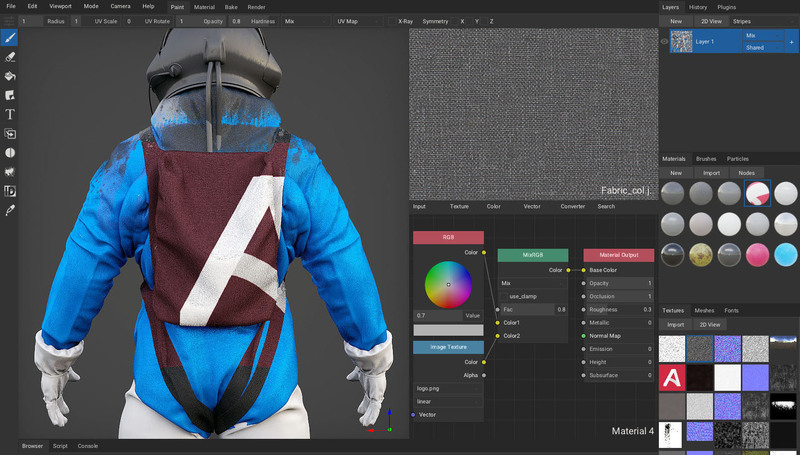 ArmorPaint is a stand-alone software designed for physically-based texture painting. Drag & drop your 3D models and start painting. Receive instant visual feedback in the viewport as you paint. ArmorPaint produces textures usable with PBR-capable engines such as Unreal and Unity. Work fast with the convenience of nodes. Paint with complex, fully procedural materials using the proven workflow. Apart from materials, brush nodes are used to create painting patterns and procedural brushes. 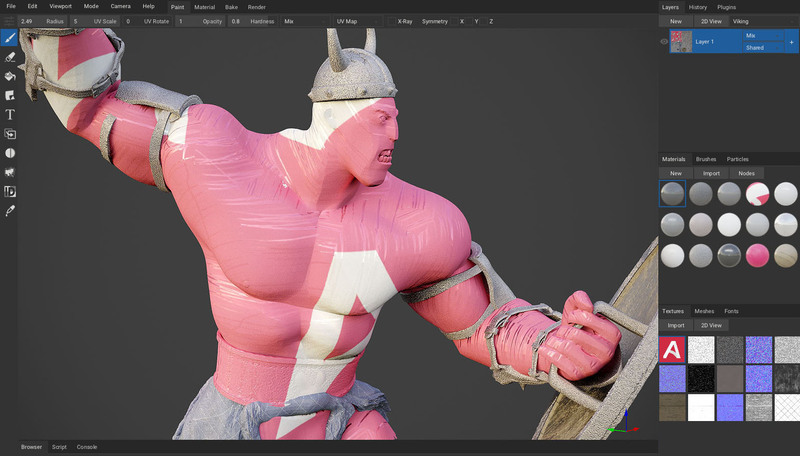 ArmorPaint is designed from scratch to run completely on the GPU. This results in a smooth 4K painting experience even on a medium-power integrated hardware. Up to 16K texture painting is seamless using a high-end graphics card. ArmorPaint is powered by an in-house 3D rendering engine to achieve the best painting experience. Check out Armory!